Edmund Robert Harris, a wealthy lawyer from Preston, Lancashire, died in 1877. Having no heirs, he bequeathed the then massive sum of £300,000 to set up a trust for philanthropic purposes in memory of the Harris family. 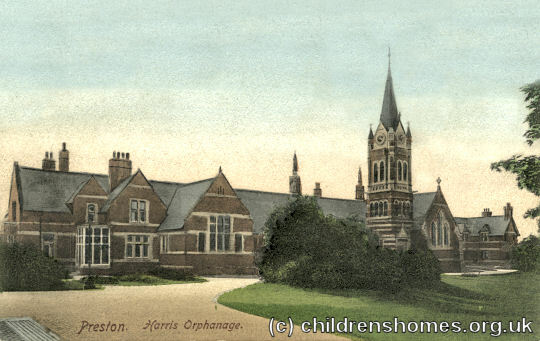 As a result, three important institutions were established in Preston: The Harris Public Library and Museum, The Harris Institute 'of Literature, Art, Science, and Technical Education', and the Harris Orphanage. 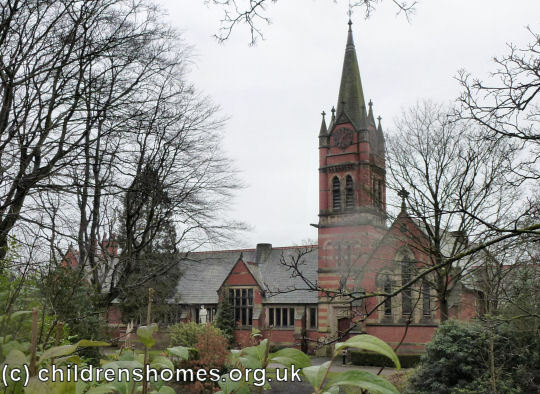 The orphanage, for which £100,000 of Harris's bequest was utilised, was located on twelve-acres of the 'Crow Trees' estate on Garstang Road, Fulwood, to the north of Preston. The land was acquired by the Harris trustees in 1881 for the sum of £4,800. A foundation stone for the buildings was laid on September 9th, 1885. 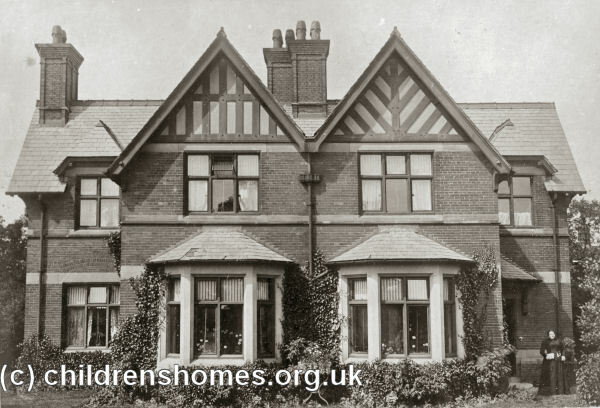 It was decided that the design of the orphanage would adopt the 'cottage homes' principle which was then becoming popular for children's homes set up by workhouse authorities and by charities such as Barnardo's. In cottage-homes schemes, the children lived in family-style groups, typically fifteen to twenty-five in number, under the supervision either of house-parents — a married couple with no children of their own — or of a house-mother. The 'cottages', which were actually substantial villas, were often arranged — as at Preston — around a large village-style green. The layout of the site is shown on the 1938 map below. Harris Orphanage site, Preston, c.1938. 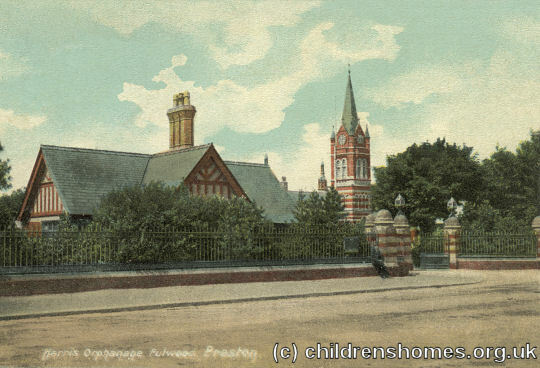 The buildings, designed in the Gothic revival style by local architect Benjamin Sykes, were completed in 1888 and included: three boys' homes, to accommodate 72 boys, and three girls' homes to accommodate 48 girls; schools, chapel, governor's house, school-master's house, hospital, gymnasium, swimming bath, workshops, etc. The first child was admitted on 26th November, 1888. 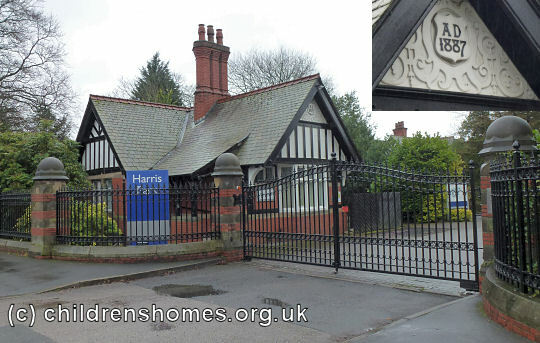 An entrance lodge stood at the entrance to the site on Garstang Road. The facilities were supplemented in 1914 by a new building known as Clayton Hall which provided a concert hall, gymnasium and playroom. The children were occasionally taken on seaside trips. The picture below, dating from the late 1920s, shows a group at what is thought to be Southport. The woman at the centre is Elizabeth Webb, a member of the Orphanage staff, whose great-niece, Angela Moorefield, kindly contributed the photo. 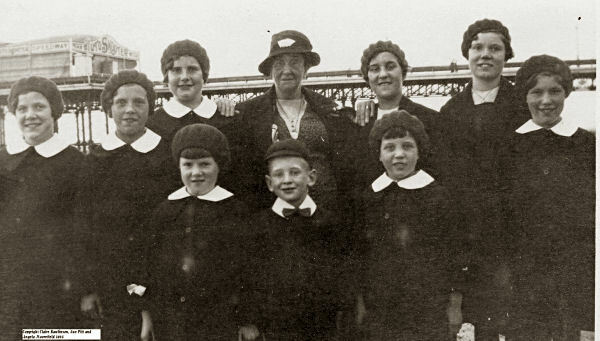 Harris Orphanage children, Southport, 1920s. © Claire Rawlinson, Sue Pitt and Angela Moorefield. 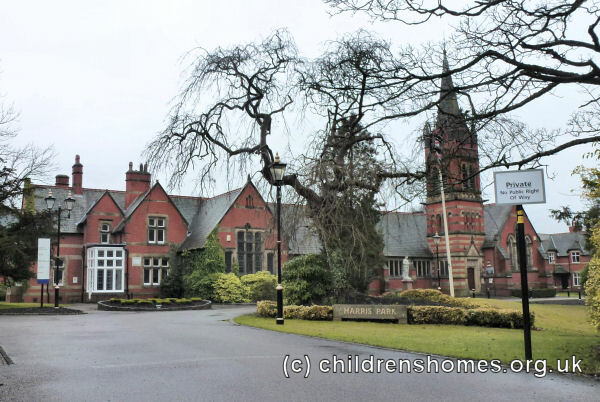 In 1948, the school buildings became Fulwood and Caldy County School which later merged with Ingol and Lightfoot Primary School to form the Harris County Primary School. The Orphanage, now known as the Harris Children's Home, closed in 1982. During its lifetime, it had been home to 2215 children. Three three years later the site was bought by Preston Polytechnic for use as student accommodation. In 2001, the buildings were converted for office use, the site now being known as Harris Knowledge Park. Lancashire Archives, Lancashire Record Office, Bow Lane, Preston PR1 2RE. Holdings include: Register of admission, progress and withdrawal (1888-1956); School log book (1903-51); Photos of Harris Orphanage Prize Day (1921); Aerial photo of Harris Orphanage and School c.1990; "The Harris School: A Brief History 1888-1988"; Records of the Harris Trustees (1883-1984) — restricted access for 100 years.